Let the bodies hit the FLOOOOOOOOOOOOOOORRRRR!!!!! 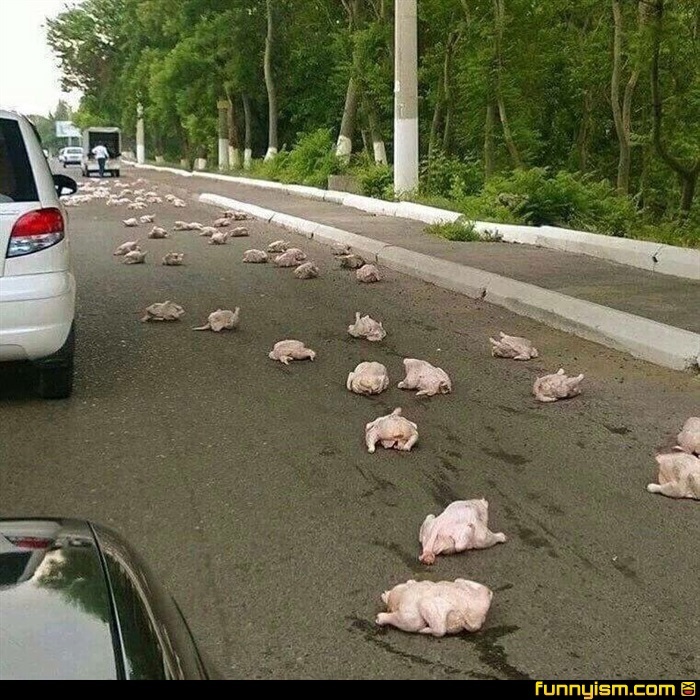 @megamanx181x, no, those are chickens. @megamanx181x, it's a very foul incident! Who here would grab one, wash it off and have a free meal?